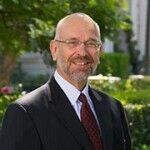 Professor Eric Heikkila is Director of the USC Price School’s Office of International Initiatives. His research is both quantitative and qualitative in nature and focuses primarily on urban development issues. He is currently working on a book entitled China from a U.S. Policy Perspective. Read more. Expertise: Pacific Rim cities; urbanization and urban development issues; relationships among urban form; mobility, economic growth and development, and cultural expression; public finance and real estate development; fiscal impact of housing developments; urban growth; applications of geographic information; systems and expert systems to urban planning problems; port economics.